Let The Funny Man Jeeveshu's Jeevगाथा Make Your April Laughter-Full! 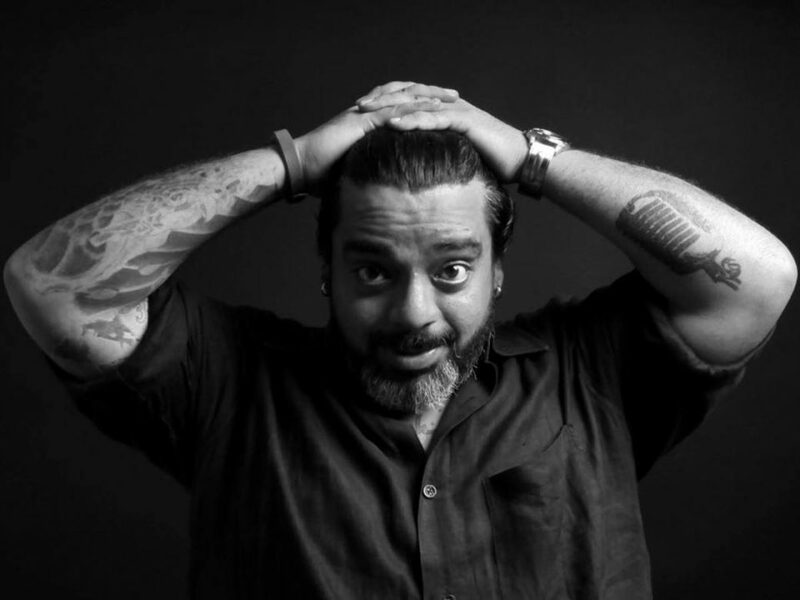 Let The Funny Man Jeeveshu Ahluwalia Make Your April Laughter-Full! Bring in Summers with loads of cold coffees, tank tops, and laughter! Yes, you heard us right. We are talking about kickstarting this Summer season with your laughter doze with none other than Jeeveshu Ahluwalia, the uncensored and untamed comedian who’ve making us Delhiites fall out of our chairs with his rib-tickling sense of humor. And just because we love you, let us tell you that Jeeveshu is officially the ‘Burner’ in the house, so if you’ve gotta meaningless name like ‘Devika’, you better carry Burnol with you! So, get your tickets and be a part of his Untold stories, Jeeveshu’s Jeevगाथा as he calls it and let the fun ride begin! Let The Party Begin With The Best DJs Fighting It Out @ Boxout Weekender’19!